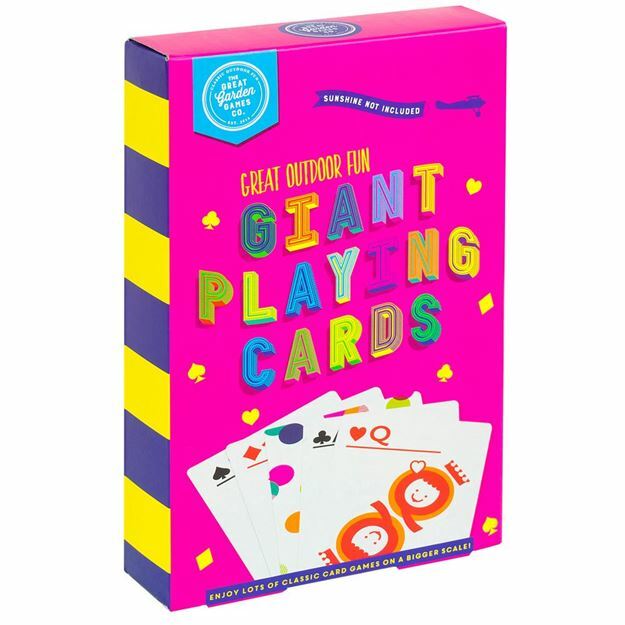 Supersize your playtime with this set of giant A5 playing cards from Professor Puzzle! Whether you're looking for a memorable game of Snap, Go Fish and Rummy or just some gigantic magic tricks, this set is a must-have for all family games night! Includes: 52 A5 playing cards, 2 jokers and instruction sheet. Age 3+ years. Distributed in New Zealand by Holdson.